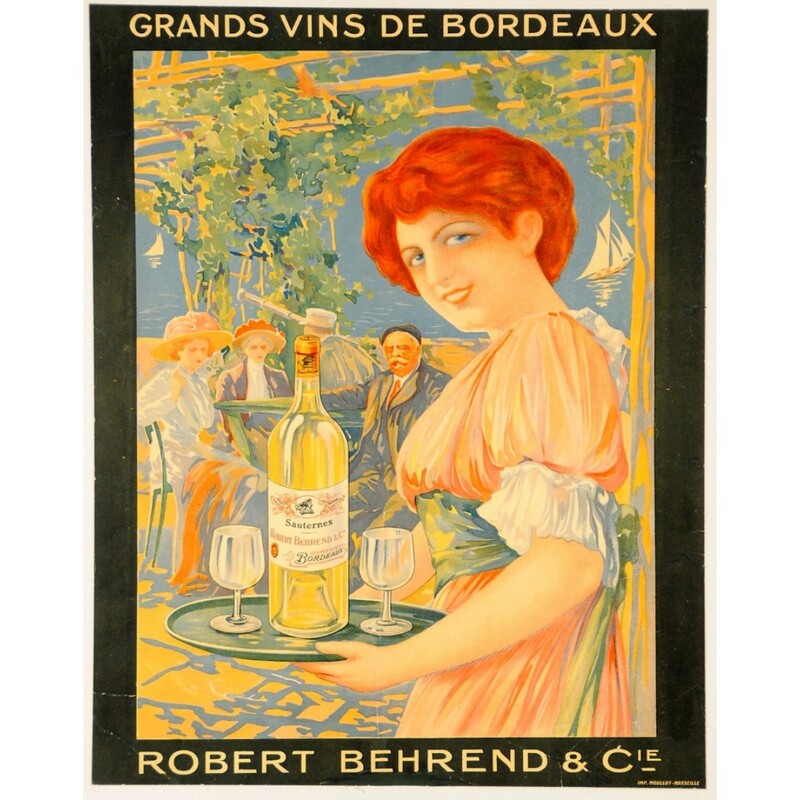 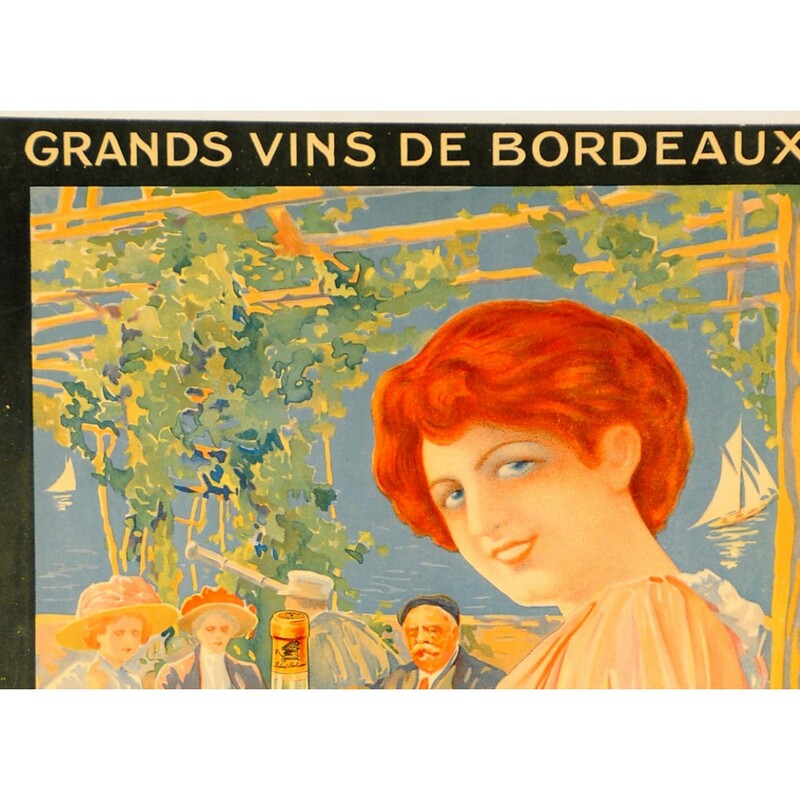 Original Vintage French Small Wine Poster for "Robert Behrend & Cie"
This is a small format wine poster realized at the behest of Robert Behrend & Co. a wine grower in the Bordeaux region. 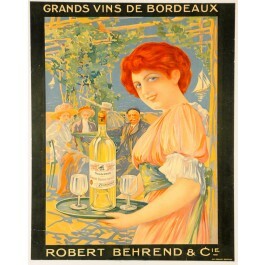 A smiling hostess presents one of the Bordeaux wines, a Sauternes, a white wine, to guests seated under a canopy of twisting grape vines. All of the guests eyes are on the bottle of Sauternes! Sauternes, one of the Grand Wines of the Bordeaux region in France.